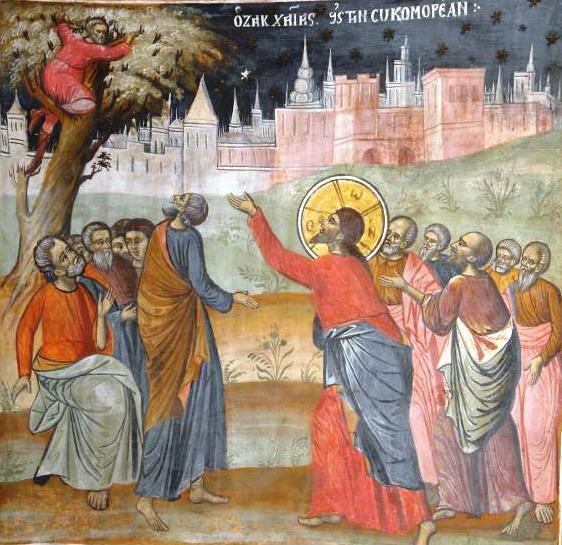 The Sunday of Zacchaeus signals the approach of Great Lent in four weeks. 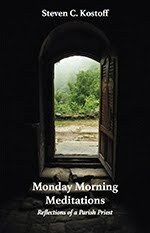 This year, the beginning of Great Lent will be Monday, February 27. 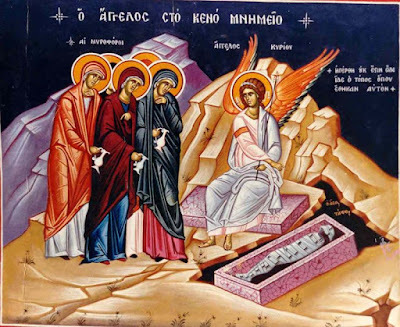 Thus, Pascha will be celebrated on April 16 this year. My goal is to write a short meditation or two this week so that we can further reflect on this marvelous passage from St. Luke's Gospel (19:1-10). At the moment, I would simply like to address the issue of our familiarity with a given Gospel text, and how that (supposed) familiarity can lead to the tempting thought that we know a given passage thoroughly. I am not concerned with how well we may know the words of a given passage - perhaps we know them practically "by heart!" - or even the over-all story-line. I am referring to the deep inner meaning of a given passage. We may not distinguish between the two, and thus be convinced that since we know the words and events of a given passage so thoroughly that there may not be much more to learn about it. I am convinced that this is a temptation. There is a saying, something like "familiarity breeds contempt." Obviously, no one will feel "contempt" for any passage of the Gospel regardless of how well it is known! But, familiarity could breed indifference or neglect, leading to a certain lack of vigilance in approaching a given passage. Such an attitude can also make the passage somewhat stale or stagnant in our minds, even unintentionally. I would first say that "subjectively" we hardly ever approach a given text - any text - from the exact same perspective. (We could, of course, say the same thing about looking at a work of art or listening to a piece of music). And I believe that this is even more significant of a factor when approaching the Gospels. That is because we are always changing and because we bring such a complex set of life-circumstances to any given text of the Gospel that we carefully read. As human persons we are ever-changing beings, and not simply static or unchanging. If life is going well for us, we read a text in a certain light; yet if life is not going so well, we will read that same text quite differently. Those two factors could change the level of urgency with which we approach any given text of the Gospels. This recognition of never approaching the same text from an identical perspective is made clear by our aging process. Surely, how we read a given passage at twenty years of age, will not be the same as the decades of our lives unfold. I am quite certain that hearing the story of Zacchaeus while now over sixty years of age is quite different from I first became a priest when I was around thirty years old. In fact, it must surely change from year-to-year! This process of maturity through the aging process will hopefully lead to an ever-expanding and ever-deepening appreciation for any given passage, and a sure realization that the Gospels are inexhaustible in their meaning. It is good to study the Gospels from an "objective" point of view, though that can only go so far. 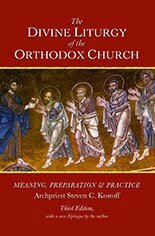 What I mean is that it is very important to understand the historical, social and religious background of the Gospels, what we today call "context." Certainly, this makes the text so much more alive for us and it yields a good deal of helpful interpretation. That Zacchaeus was a publican/tax-collector, and that he was most probably despised for that reason, is a very significant part of his story. It brings that much more "drama" to his eventual conversion; even a genuine poignancy. The conflict between how Jesus was reading and interpreting the Law and how that differed from the reading/interpretation of the Pharisees, as an example, is also a very significant factor. This underlying difference also plays a role in the account of Zacchaeus and how the "crowd" saw him and how Jesus saw him. Yet, for all of its importance, if we reduce the Gospels to this historical, social and religious context; or rely so heavily on that, then this very "objectivity" can obscure the deeper meaning of a given passage. We must somehow always realize that the Gospels are speaking to each and every one of us directly. If we do not, or cannot, see or feel that, then we cannot boast of knowing the Gospels well - or at all. We cannot know a given passage unless or until we realize that it is saying something to us today. Or better, is challenging us today in our attitudes, in our self-centeredness; in our complacency or even defensive self-justification for our sins; of how we refuse to change. 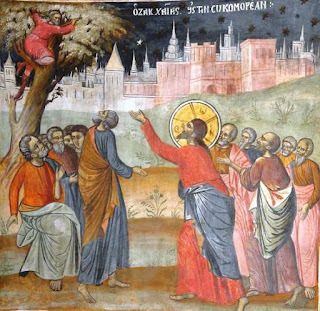 Thus, the story of the conversion of Zacchaeus speaks to us today about our level of desire for God, for conversion; as well as reveal to us how compassionate and merciful Christ is and how the grace of God that He offers us is so potentially life-transforming. Thus, it is a living text that cannot be reduced to its meaning in the past. I would simply add that our veneration of the Gospels as the Word of God should always fill our minds and hearts with not only a deep respect for the Gospels; but with a deep and abiding love for the Lord - the eternal Word of God - who is revealed to us in any given text and a desire to know Him as deeply as possible. Approaching the Gospels with a prayerful mind and heart is also of great importance. We could use the Prayer before the Gospel from the Liturgy before reading, or offer inwardly a short form of that prayer.